Out 8th edition of the London Bus Handbook, published in May 2017 includes the operators and vehicles used on TfL routes along with the open-top tour fleets. Full details include allocations to garages and lavishly illustrated in colour. Not just a fleet book but one to keep on the bookshelf. Operators include: Abellio, , Arriva, Big Bus Tours, Go-Ahead London, Golden Tours, Hackney Community Transport/CT Plus, Voldon City Tours, London Dial-a-Ride, Metroline, RATP - London United/Sovereign/Quality, Stagecoach London, Sullivan Buses, Tower Transit and the Croydon Tramlink. 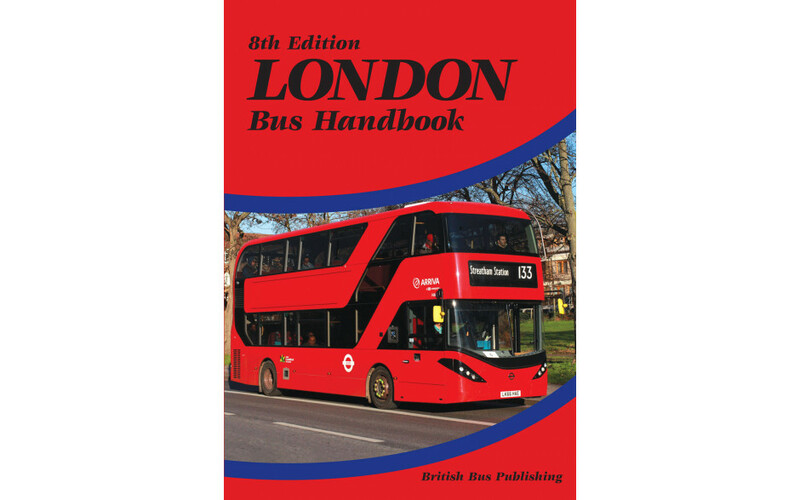 Out 8th edition of the London Bus Handbook, published in May 2017 includes the operators and vehicles used on TfL routes along with the open-top tour fleets. Full details include allocations to garages and lavishly illustrated in colour. Not just a fleet book but one to keep on the bookshelf. Operators include: Abellio, , Arriva, Big Bus Tours, Go-Ahead London, Golden Tours, Hackney Community Transport/CT Plus, Voldon City Tours, London Dial-a-Ride, Metroline, RATP - London United/Sovereign/Quality, Stagecoach London, Sullivan Buses, Tower Transit and the Croydon Tramlink.